Bamford and Saiz send Leeds through. Leeds: Blackman, Shackleton, Ayling, Jansson, Philips, Pearce, Harrison, Saiz (Alioski 68), Baker, Roberts (Klich 68), Bamford (Roofe 80). Subs not used: Huffer, De Bock, Berardi, Shaughnessy. Bolton: Matthews, Little, Vela, Oztumer, Donaldson (Noone 57), Hobbs, Wilson, O’Neil, Grounds (Taylor 74), Wildschut, Hall (Magennis 65). Subs not used: Alnwick, Beevers, Olkowski, Pritchard. 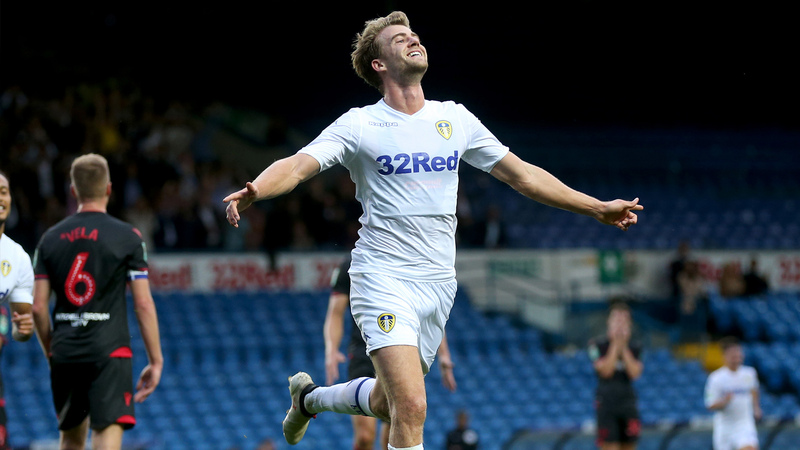 ﻿First half goals from Patrick Bamford and Samuel Saiz were enough to send Leeds United through to the second round of the Carabao Cup at the expense of Bolton Wanderers. Marcelo Bielsa made eight changes to the side which beat Derby County on Sunday, but it took Leeds less than 30 seconds to carve out the first chance of the game. Pontus Jansson played a ball forward which was flicked on by Patrick Bamford and Lewis Baker went in on goal, but his touch let him down and Remi Matthews gathered. The Whites had another big opportunity when Samuel Saiz played a dinked ball over the Bolton defence to put Bamford through on goal, but he scuffed his effort wide. Bamford then tried his luck from distance and he wasn’t far away, with his effort going narrowly wide. Bolton had a good chance of their own in the 26th minute, the ball fell kindly to Gary O’Neil on the edge of the Leeds box, but he fired high into the Kop. Leeds took the lead a minute later, the ball fell to Bamford and he nutmegged Jack Hobbs, before converting with cool into the bottom right corner, to score his first Leeds goal on his first start for the club. Jack Harrison had the chance to put Leeds two up, when Saiz found him with a ball to the back post, but he couldn’t convert, firing a volley wide. The Whites did go further in front though, 10 minutes before the break. Following a Bolton throw deep into the Leeds half, Baker countered and charged up the pitch, he found Saiz in the box with a neat pass and the Spaniard took his time and cut inside, before firing into the bottom left corner. Before the break, Leeds had a big appeal for a penalty when a Jamie Shackleton cross appeared to hit the arm of Marc Wilson, but no spot kick was awarded. ﻿After the break, Bolton got themselves back into the game, Leeds were caught out at the back and Oztumer found the bottom left corner with a strike from the edge of the box. 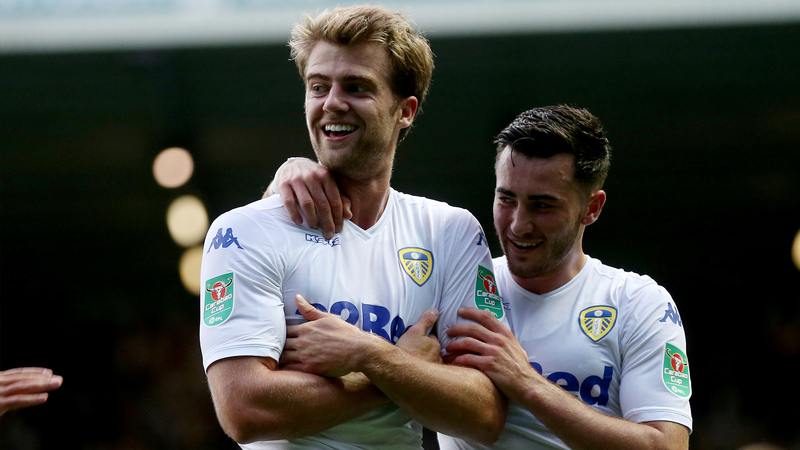 Bamford nearly restored Leeds’ two goal cushion when a lofted ball was headed out to him just inside the Bolton box, but he could only fire a volley over. Bamford then tried his luck from range and with a good effort forced Matthews into a decent stop, but couldn’t get the better of him. Bolton then had a big chance to level, a long range effort by Yanic Wildschut was parried by Jamal Blackman and substitute Josh Magennis with his first touch could only fire over. 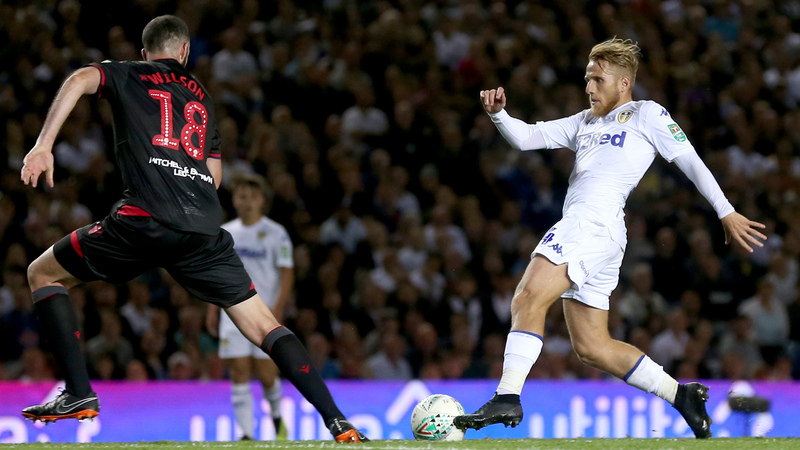 Leeds had an opportunity in the 71st minute, substitute Ezgjan Alioski was felled, but play continued as the ball fell to Harrison in the Bolton box and he fired a curling effort, but couldn’t direct it on target. Wildschut then nearly leveled when he broke through on goal from the left, but he couldn’t really get the ball under control and Blackman made a good save. Alioski teed up Harrison to strike from 25 yards but he couldn't find the target and Baker saw an attempt from a tight angle well saved in the final 10 minutes. The Whites saw out the closing stages, to maintain a perfect start to the season, with three wins out of three.